Finding Dory was a superb recent animated movie and the Blue Tang fish is so active in this aquarium that we just had to name it after her. She really makes it a great Dory screensaver available in 4K or HD. This is our tribute to a superb animated movie. Dory Loves Corals is a re-shoot of our most watched video on Youtube Coral Garden, which is almost at 2 million views at the time of this release in October 2016. 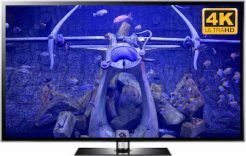 New TVs usually have settings pre-set which boost the color of videos you watch. This proved to be too bright for a few people watching Coral Garden. This time we have turned the color saturation down a little. 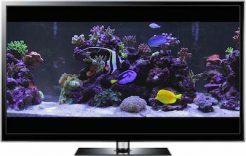 The frame is fairly similar and in this Dory TV screensaver you will notice the corals have grown. If watching the sample clip of the dory screensaver above; bear in mind that this is just to promote the video. There will be no text or branding on the downloads. For the best quality press Play, then in the cog icon select 2160 4K for the best resolution. Then the square icon in the bottom right corner to make it full screen. This should be a popular PC or TV screensaver for both kids and adults. 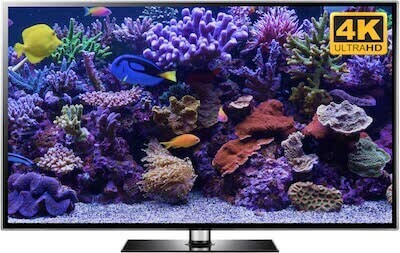 The fast paced swimming of Dory, plus the beautiful colorful corals really make this a great virtual aquarium on any screen. 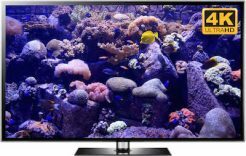 We tested it on a 75 inch UHD SMART TV and it made a stunning Dory screensaver in 4K resolution. 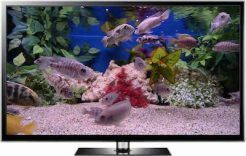 If buying this for the kids you will find they are fascinated by the fish and less likely to want to play video games or watch trash TV. The scene is simple enough that after a while they lose interest and in our experience, are then more relaxed and happy to go to bed, or do homework. They will spot other fish from the animated movies too, like the clown fish (Nemo). For adults this makes a great background video when not watching TV, such as at a dinner party, family gathering or simply to stimulate conversation. 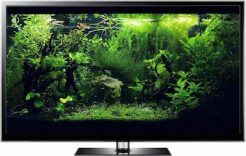 The 5.1 surround sound immediately brings a sense of calm to a room and the quality is so sharp that it is almost as good as having a real world class marine aquarium in your home. Except there is none of the maintenance required. This aquarium needed constant care and probably cost $20,000. From just $5 you can share in the joy of this lovely fish tank too. Thanks for creating a less colorful version of Coral Garden. My TV was automatically making videos look more colorful, so this version works better. Really nice quality too- I can see every little detail of the coral. We love this one too, as does our neice who loves Finding Dory. A Hello, the MP4 videos are 20 minutes long, so the whole point is to loop them by simply pressing Repeat on your media player. All media player we know of have a repeat function. A Hi Adrian, yes it should work on your TV. A tiny percentage don't support our video codec so if you want to be sure click here to try samples.